Great places to go in Italy! Everybody has their favorite spots in Europe, and it can often say a lot about a person when they tell you where they felt most at home on this extra special continent. Beer lovers and Germany go hand-in-hand, Spain is heaven for those who care about their tan, while foodies find their amour in France. For me,Italy was the perfect fit. Laid back (almost lazy just like me) and with a bit of everything – that mix of culture, food and good weather. Whether seeing the sights in the north or enjoying a cold beer in the warm south, all of Italy is simply fantastic! The first city you have to check out is Venice. The Floating City is made up of 118 islands and is the most surreal city you’ll probably ever come across. After even just a few days in Venice, you will come to love and even know the ins and outs of the canals and alleyways that make this city so unique. Venice is also a romantic place – watching the sunset over the canals of the city is one of the coolest and picturesque views you’ll ever see. And catching that view on a gondola ride makes it even more special. 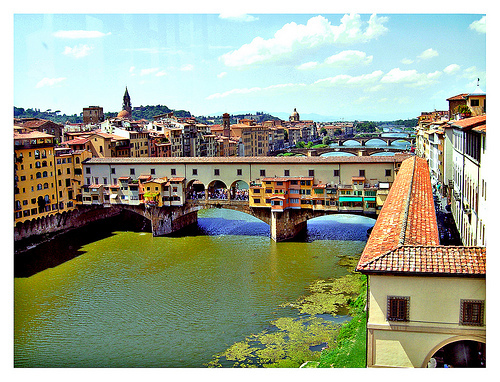 The next Italian city worth visiting is Florence, in the north of the country like Venice. The city is the epicenter of all things art and architecture in the country. You’ll see some of the best art galleries in Europe (forgetting about that certain pyramid-shaped one in Paris) with work from Michelangelo to Da Vinci. The Uffizi Gallery and the Academia Gallery are the stars, but there is art to be enjoyed in all parts of this Tuscan city. Amazing Architecture is another highlight and Brunelleschi’s Dome at the Florence Cathedral is one of the most impressive architectural works of Italian history (the world for that matter). A climb up the 436 steps is a must if looking for a good view, while an equally picture-perfect scene is that of the Ponte Vecchio – the first bridge over the Arno River and the only one to survive World War II. The bridge is an impressive sight and an apartment close by, like one of the many offered close to the Ponte Vecchio by Oh-Florence, will give you the opportunity to make the most of what is my favorite spot in Florence. After Florence, the capital is the next stop – you can’t visit Italy without checking out the historic city of Rome. 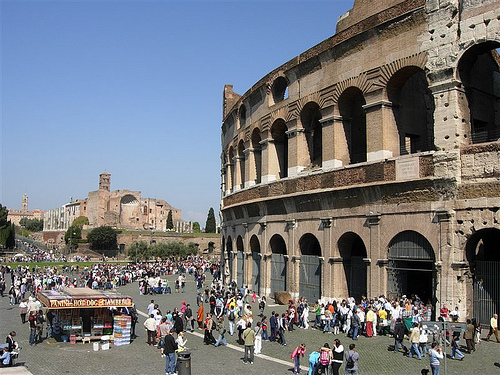 With some of Europe’s most famous attractions, a trip to Rome will have plenty on the itinerary. Once you’ve checked off the Coliseum, the Spanish steps and Trevi Fountain, take some time to relax and soak up the atmosphere of the busy city while you yourself relax. A beer while people watching anywhere in the city is the perfect way to remind yourself that you’re on holiday and there are plenty of good few Italian birras on offer. If there is a cooler place in Europe than Italy, then I’ve yet to find it. Until then, I’ll keep visiting the boot-shaped country as much as possible! What are your favorite places in Italy? Posted in Inspiration, Italy, Luxury Travel and tagged with Architecture, Europe, Florence, Italy, Rome, Venice. RSS 2.0 feed. Italy is one of our favorite destinations! Venice, Florence and Rome are fabulous, and we really like the Cinque Terre. We’re heading back to Italy this year for a visit to Siena. We hope it lives up to all the wonderful things we’ve heard about it…of course, it’s Italy, so there’s a really good chance of that! Usually can’t go wrong with Italia! How could you miss out Milan, the international Fashion capital, from this list?